After a LOT of pennies, of course! We had been saving our pennies and were all set to get a pool last week and then it rained…and then we discovered that our background is not *quite* as level as we thought it was…and it needs to be for the pool. So, I started thinking about the Wii again, since the yard is going to be a couple week project. I knew we were going to get one eventually…I thought it would be once the stimulus check hit since it would probably take that long to even find one. Jacey is thrilled, she fell in love with the Wii when she was going to the youth center on base. She got to play for a bit before heading to bed and then Bryan and I played for a hour and a half. It is a ton of fun and boy am I going to feel it in my arms tomorrow. I kicked Bryan’s hiney in boxing and he whooped up on me in the Wii Play games. That thing is so much fun!! My friends have one and we (yes us old ladies) play the bowling game while the kids are in school!!! LOL!! Have fun with it!! 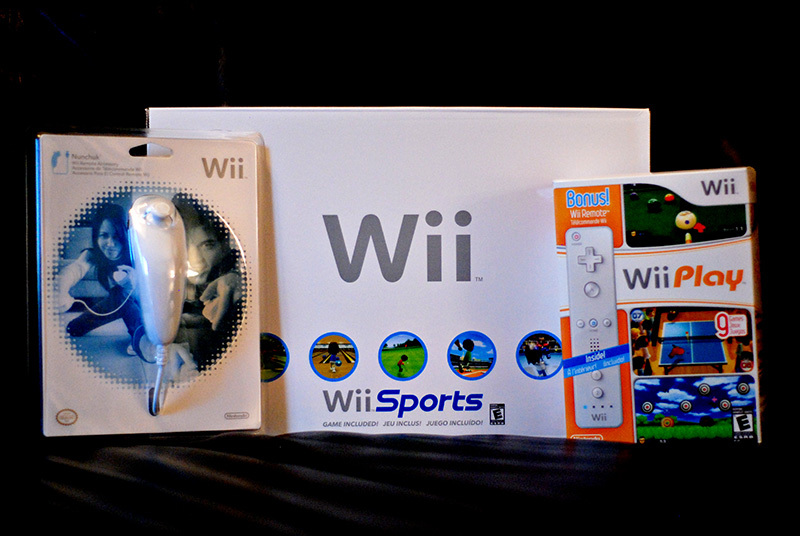 How fun to have a Wii, I know we want one too and are saving up for it as well!!! !